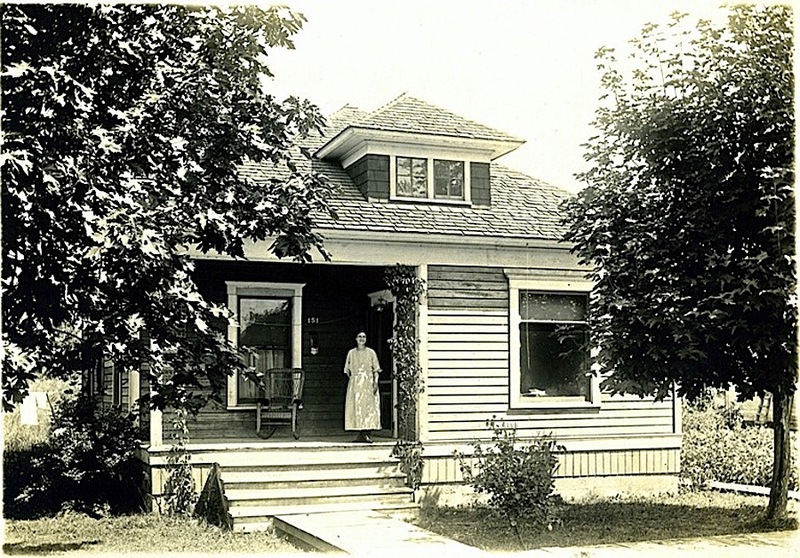 “Henry Smith and family in front of a wooden house with a bark roof at Green Park,” Horsham, Victoria, ca. 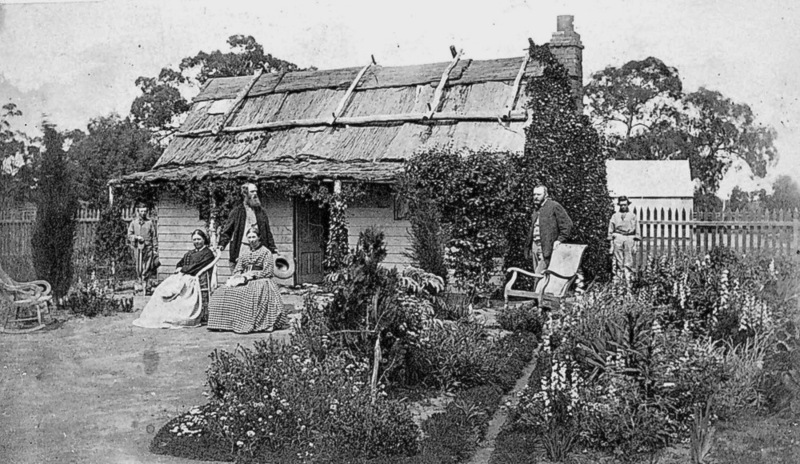 1875, via The Biggest Family Album in Australia and Museums Victoria (under CC license). “Mrs. 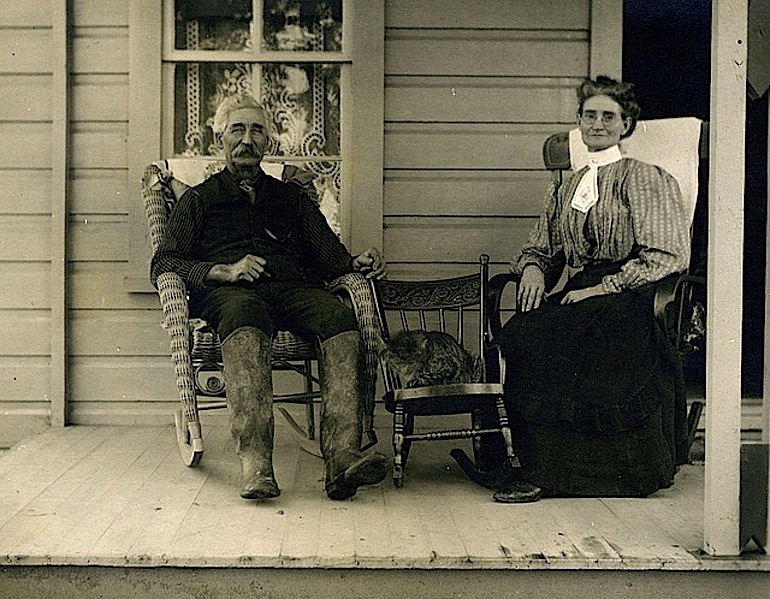 Cook and Polly parrot on the porch of the family home, Mulberry, Florida,” ca. 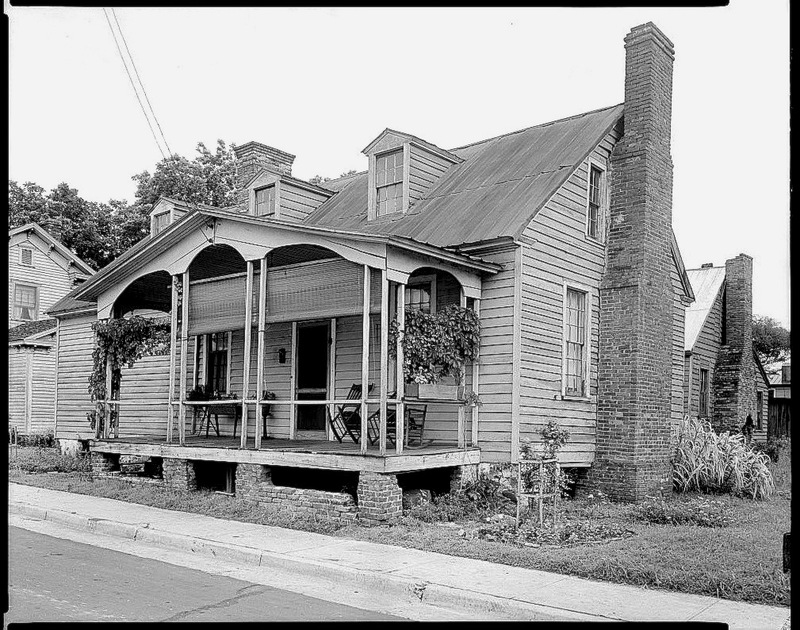 1900, via Florida Memory (State Library and Archives of Florida). 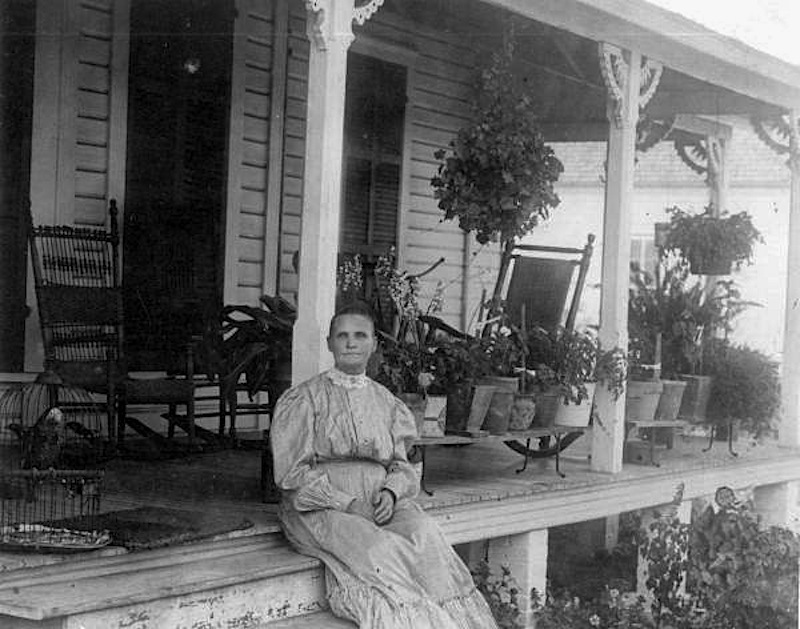 A note on the Florida Memory website says that Polly could mimic all the women and children in the neighborhood.